Fifty-five minutes of basketball is what it took the Central Michigan University Chippewas to defeat Youngstown State University in triple overtime, 100-94. That was a big issue in the game. The Penguins turned the ball over 22 times for 28 points while CMU turned it over 19 times but only allowed YSU to score eight point off the turnovers. It was a tightly contested game all the way through. CMU (7-2) found ways to stay in the game even withstanding an early 9-2 deficit out of the gate. Outside of turnovers, YSU (3-7) could have won this game without question. The Penguins outrebounded the Chippewas, 57-46, including a career-high 17 rebounds from Naz Bohannon and career-high 14 from Garrett Covington. Olamide Pedersen helped the Penguins with six blocked shots. This was Covington’s third 20-point game of the year with 26 points. He has scored 20 points or more in his last two games. 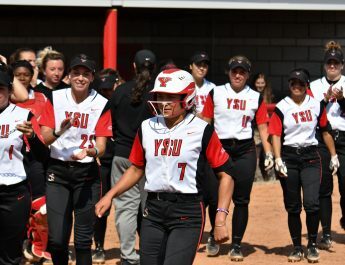 YSU has struggled to stay consistent in this game as they have in many games. The Penguins found ways to get the game tied multiple times. YSU and CMU were tied at 68 after regulation, tied at 76 after the first overtime and then tied at 82 after double overtime. The wheels fell off in the beginning of the third overtime. CMU began the third overtime period on a 12-2 run and that made the biggest difference in the game outside of other things. Austin finished with 24 points with 11 rebounds and five assists. He did that without any 3-point field goal attempts. Shawn Roundtree also did damage for the Chippewas with 23 point on 7-of-16 shooting. Roundtree and Austin scored the first 11 points of the third overtime to help them to get the win. Despite the loss, the effort was there and that’s what the Penguins have been giving a great amount of effort. 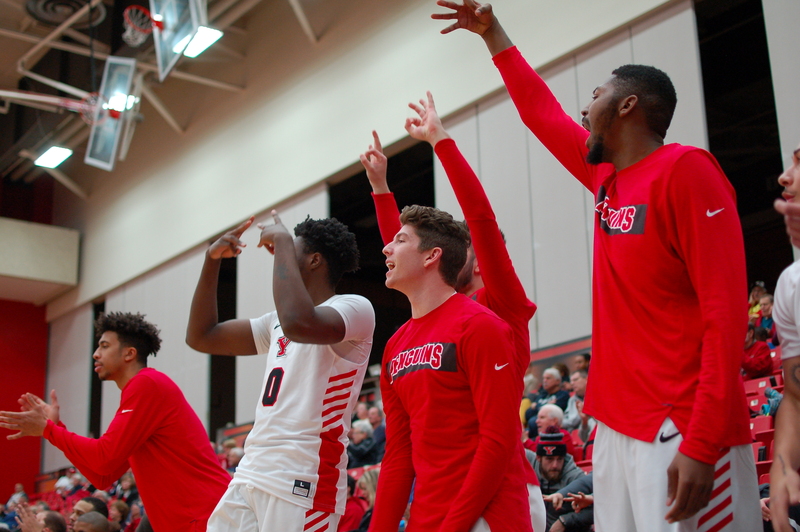 YSU gets a few days off before hosting Western Michigan University at 2 p.m. on Dec. 8 at the Beeghley Center as part of a doubleheader with the women.